ShyBot was conceived and presented at the inaugural Desert X biennial art festival held in the Coachella Valley in Palm Springs, CA, in February of 2017. It consisted of an autonomous, self-driving, human-avoiding rover, solar powered, computer vision enabled and GPS tracker. Highly site-specific in that California is a place now associated with advanced and innovative technology, artificial intelligence, and robotics, the Desert X festival allowed Norma Jeane to work with other technologists in San Francisco to introduce an advanced piece of technology into a situation which is completely uncomfortable. 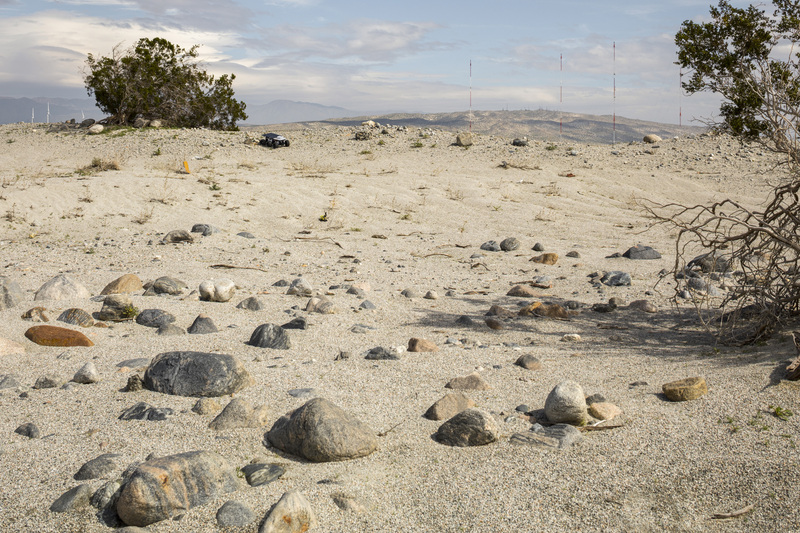 Taking inspiration from the Mars Rover, Norma Jeane considered a version of the Rover that did more than cruise around, recording and analyzing the landscape. What if, instead of an information-gathering emotionally-neutral mission, the Rover had an emotional mission? What if the robot chose to wander the desert because it wanted to be left alone, and the desert was a place where it felt most safe? What if the robot was…shy? Following its disappearance twenty 40 x 12 feet “wanted” billboards were posted alongside the Los Angeles – Palm Springs freeway. At the end of Desert x a short movie titled ShyBot dedicated to the making of, and the meaning of the small mechanical creature was edited and screened in Europe and USA.